I've been bad this month. To be honest, what I'm showing you today is not even half of what I've bought, but I thought I'd spare you the less exciting stuff. So much for recovering from the debts of Christmas - I think my credit card has taken the hardest hit this month! I blame my empty bank account on Mecca Cosmetica, I just shouldn't even walk past this place, let alone in! It's like I walk in and all reasoning and logic is left at the door. Go figure. So naturally, last week I walked in with the intention of buying the Nars 'Douceur' Blush, and ended up walking out with not only the blush (pictured below), but also one of the highly coveted Diptyque candles, because hey, I don't need food or petrol, right? A recent trip to Kikki K resulted in the purchase of this cute little notebook which has been calling my handbag home as of late. It's so helpful to jot down any blogging ideas I have in here, and it's small enough and light enough to carry around with me. The entire collection is seriously cute, and I wouldn't be surprised if I found myself back in there for more! It's a good thing I don't work there any more, or my pockets would be so empty. 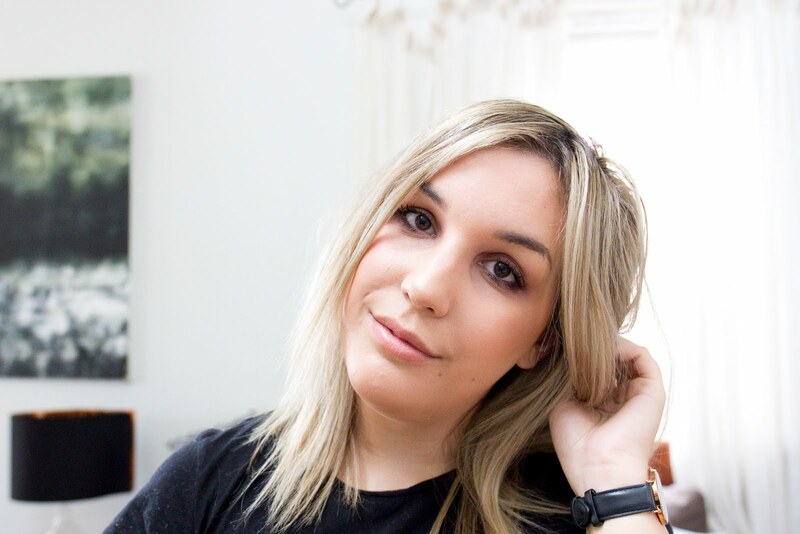 I had some reward points to spend at Myer the other day, so I headed to the MAC counter and picked myself up an eyeshadow in 'Texture' and the In Extreme Dimension 3D mascara which I've seen a lot of vloggers using lately. The golden brown eyeshadow is perfect for a subtle brown smokey eye and I am actually seriously impressed with the mascara. It definitely is up there with my beloved Clinque, and damn that is saying something. Nothing has quite reached those levels since my Diorshow days. A friend of mine from the US just recently sent me a few goodies (we have our own 'beauty boxes' we share with each other, I love her!) including the Maybelline Volume Express Mascara in 'Mega Plush' which has this bizarre bendy wand which actually makes application much easier, and MAC's Club' which I looked for EVERYWHERE when I was in New York last year, and everyone was sold out! It's such a beautiful shade of green, I can't wait to use it. Lastly, I picked up two colours in the new Bourjois Colour Boost Lip Crayon range, 'Orange Punch' and 'Peach On The Beach'. I never have much luck with tinted balms as my lips are so pigmented, but these pack quite the punch. Unfortunately the 'Orange Punch' on me is less orange, and more berry, but overall seriously pretty, and fairly long lasting! January has been a pretty bad month for me too, but I can't complain because I have pretty things and I'm so in love with everything I bought! Mecca is one place where I plan to get one thing and end up with so much more! I'm so in love with that shop. I don't think I'll ever be able to use another candle again now that I've tried Diptyque. I have some Dusk tart melts, but you can smell the difference in quality compared to Diptyque. I really want to try Jo Malone candles next, but that's another expensive investment for another day! Club is the most beautiful eyeshadow ever. It's one of my favourites and one of the first I bought when I started getting into high end makeup. I found the Bourjois lip crayons too glossy for my liking, but I do like the Revlon Kissable Balm Stains. I'm really curious to try the matte version of them, but knowing Australia, they probably won't be released for ages. They are pretty glossy! And I know, it takes SO long for products to arrive in Australia, it drives me nuts! I waited for a Bourjois nail polish for like, 4 months. Why do they do this to us! 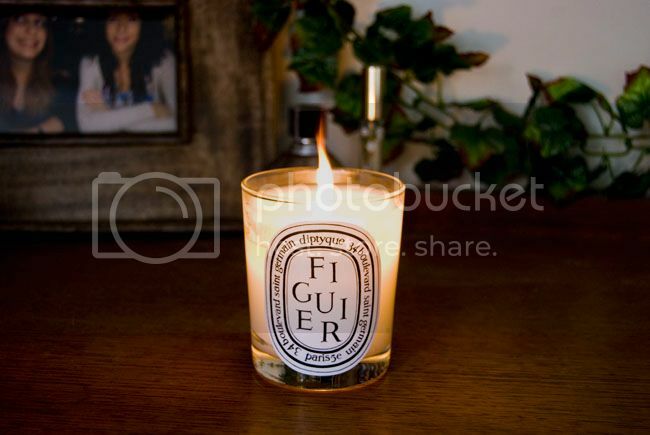 Ooh how I lust after a Diptyque candle, that photo you took of it is gorgeous! I love the feel of your photos, they're just so crisp and pretty. I also bet that the NARS blush you bought is lovely, I am yet to try one out but that shade I really like! Oh, thankyou! It's such an amazing candle - like I truly did not understand the hype until I brought it home and lit it. Simply amazing. Nice haul, I hope you bank account can get to its normals self soon. 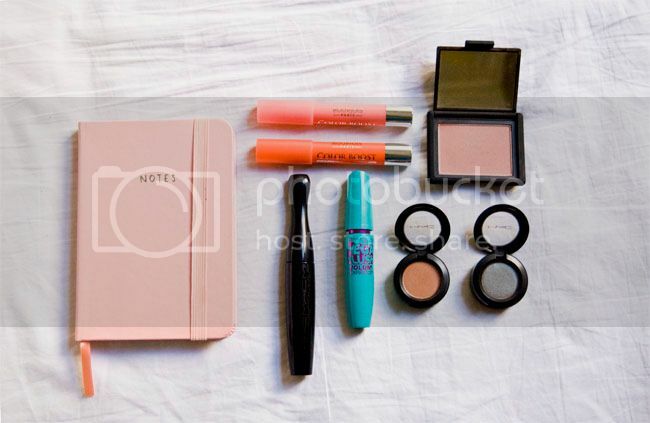 I also bought the doucer blush recently and have been really loving it!! And how gorgeous is it...I can't get over how lovely the colour looks on your cheeks as opposed to in the pan! I've heard a lot of controversial views on the Mega Plush mascara, so i'd be interested to hear your thoughts on it. Some people love it, some hate it...hmmm! They do go on quite balmy, and they're fairly glossy too. I tend to get dry lips quite often so I'm always wary when I put lip colour on, but I use these and they look fine! And yes! You won't regret it :) So beautiful! It seems like we’re all having a bad start of the year. I’m already planning on what day I should visit the hospital. Hopefully this year gets better as the days go on. I hope things get well for you. It seems like everyone has been just lovely Diptyque. I went to Nordstorm the other day and spelled a few of their candles and fell in love; I could finally see why everyone loved them so much. They’re just so darn expensive! With my birthday coming up, hopefully I can finally treat myself to one of these candles, I was thinking possibly Rosa Mundi- my favorite scent. As for your NARS blush…I can’t blame you for loving it and buying it. I have so many blushes from NARs and they’re all beautifully pigmented! I can’t really pick one favorite but the one I’ve been loving is called ‘Madly.’ For some reason, I can’t really deal with notebooks. I am the worst person to remember to sit down and write something that I need to remember and because of that I thank Evernote. I use it for literally everything! Lol, I’m such a tech-savy girl. I think I’m talking too much. Your blog is really lovely and welcome to blogging! :) I’m Elena. I hope you can pick up a Diptyque candle one day soon, they are absolutely stunning! And yes, I've always been bad with notebooks too, but I'm just as bad with apps, so seeing as I got a pretty diary for Christmas and this lovely notebook recently, I'm going to try really hard to get myself organised!